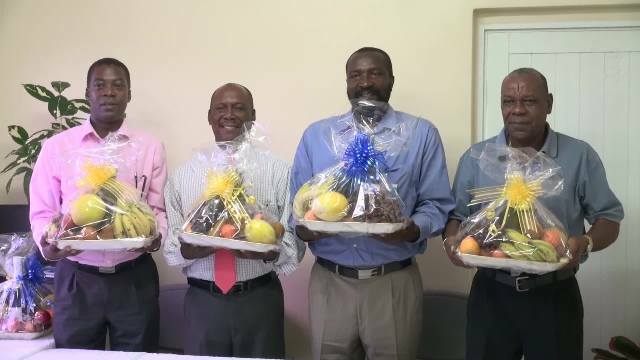 NIA CHARLESTOWN NEVIS (January 30, 2017) — The Customs and Excise Department on Nevis, honoured six former staff members at the Long Point Port on January 26, 2017, for their outstanding service, which paved the way for the new generation of customs officers. 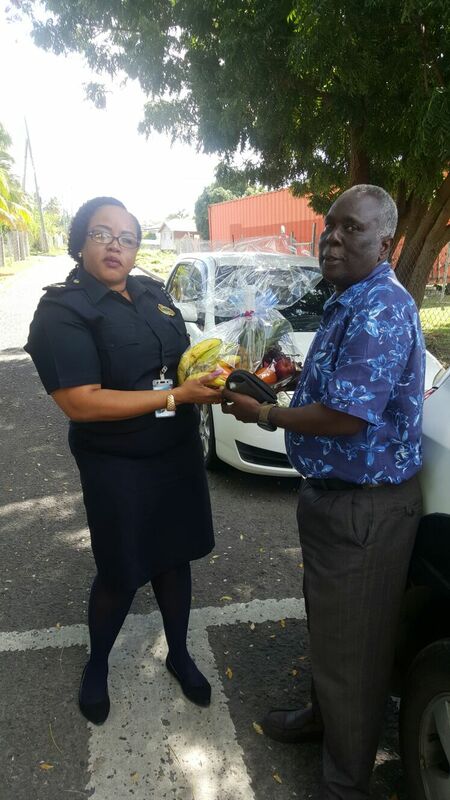 Vernon Evelyn, Stephen Jones, Denzil “Chip” Moven, Sévil Hanley, Oriel Hanley and Lester Liburd were lauded as the department joined counterparts throughout the world in celebration of International Customs Day, designated by the World Customs Organisation. Deputy Comptroller of Customs Cynric Carey thanked the honourees for their years of dedicated service and commitment to the department and for the role they played in imparting valuable knowledge to the younger officers, including himself. Short profiles for each honouree were read by customs officers Monica Douglas-Jeffers, Adiola Brookes, Otivia Perkins, Brandon Claxton, Sherian Warner-Smithen and Akin Bartlette. Vernon Evelyn’s Customs career spanned the periods 1975 to 1976 in St. Kitts and 1991 to 1995 in the Nevis Division. He was instrumental in facilitating the shift from the old tariff to the new one at the time and as a result. From 1993 to 1994 he was tasked with the responsibility of training all officers in the division in the proper usage of Customs Tariff. He assumed the duties of managing the division on many occasions in the absence of the first Deputy Comptroller. Stephen Jones’ Customs career started in 1974 in St. Kitts and shortly after he joined the Nevis Division where he received training and rose through the ranks to Senior Executive Officer. He worked at the then Newcastle Airport for three years and in 1987 to 1988 acted as Officer-in-Charge at the Division. His career as a Customs Officer ended in 1991. Denzil “Chip” Moven started his journey with the Treasury and Customs Department as it was back then in 1971. He was in charge of the Charlestown Pier in the mid-80s to the early 90s and also sold tickets for the government-owned ferry Caribe Queen in the 90s. 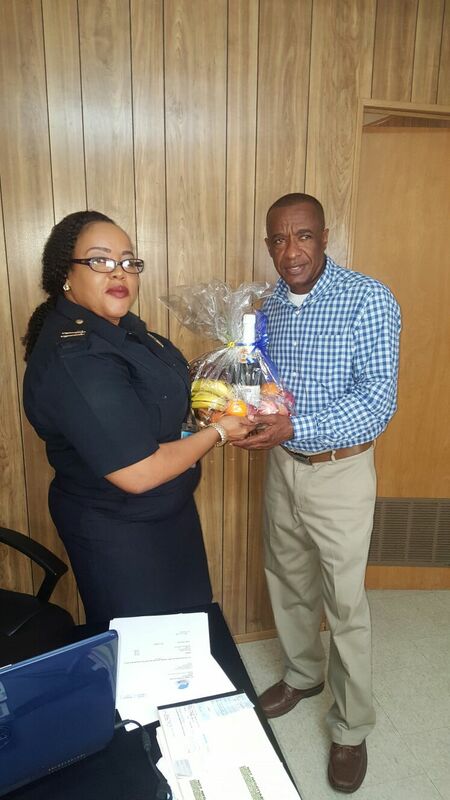 He rose to the Officer-in-Charge of Berthing and was later promoted to Senior Customs Officer. Moven retired in 2015. Sévil Hanley began his career with the Customs and Excise Department in 1996 as a junior officer. He worked in all areas of Customs through the ranks, from junior to Assistant Comptroller of Customs. During his tenure, he was contracted by the United Nations to train fellow officers and stakeholders because of his knowledge of the Montreal Protocol. He was also the Federal representative to train the trainer and also act as a liaison officer to the local technicians in Nevis. Oriel Hanley began working with the Division in 1982. He worked in all areas of the department. He worked at the Newcastle Airport for approximately 10 years as Senior Officer and Officer-in-Charge. 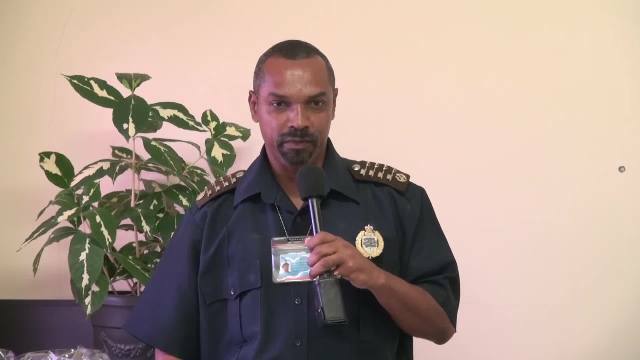 He was later redeployed to Long Point, where he rose to the rank of Executive Officer-in-Charge of the Warehouse and later to the rank of Assistant Comptroller of the Customs and second-in-charge of the Customs Department, Nevis Division. Mr. Hanley completed his Customs journey in July 2009. The final honouree, Lester Liburd’s career began in 1985 as a junior officer. He worked in all areas of the department and rose through the ranks. In 2002 he was appointed Deputy Comptroller of Customs. Under his watch as Officer-in-Charge of the Nevis Division, the Enforcement Division became more active. MV Protest was acquired to patrol the island’s waters. He also spearheaded the negotiations for the department’s first and only jeep to date. The modern Customs is attributed to Mr. Liburd’s efforts. He ensured that every unit got its own supervisor, thereby creating vacancies for senior officers and scope for organisational growth. His tenure as a Customs Officer ended in 2009. Assistant Comptroller Roger Fyfield and Assistant Comptroller Shane Hanley were also present.